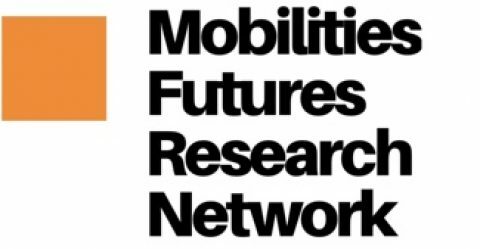 The M.F.R.N based in the North East England UK (@Northumbria University Newcastle) is a global network that seeks to connect Mobilities Researchers from a range of interdisciplinary practices, locations and philosophies. As a small subgroup inspired by the Cosmobilities Network, this platform will be a space for creative conversations and knowledge transfers of all kinds to take place. As an interdisciplinary forum, we aim to offer opportunities to represent ‘state of the art’ research on different aspects of social, physical, cultural and virtual mobilities. By collaborating with other mobilities groups (Social scientists, artists, geographers, engineers alike) we encourage the crossing of disciplinary boundaries to foster a study of movement in the context of globalisation. It is anticipated, together academics can contemplate the conditions of mobility and modernity as a set of social encounters and through collaboration understand them better. This group aims to be a starting conversation is a global network for social science based mobilities research. It connects experts working on social, physical, virtual, cultural and historical aspects of the mobility of people, artifacts, goods and ideas, sharing mobilities research as a key discipline for the modernization of societies. It provides a place for young researchers and leading experts alike to exchange of ideas and generate cutting-edge research. Enhance internal and external collaboration across archetypal fields of practice by facilitating interaction between individuals with research interests in the general field of innovation and the mobile world. Provide for the dissemination of innovation research output that crosses boundaries methodologically and epistemologically. Provide linkages with other academic groupings that are explorative in nature. Act as a host for conferences/ workshops and get togethers both on/offline. Promote research findings to a wider audience, both within the region and further afield. Encourage a participation culture that take ownership of this project and leads the way.